Livestar is a mobile app that lets you get recommendations quickly and easily from critics, friends and people with the same taste as you. Currently Livestar provides recommendations for restaurants, movies, music and apps, with more categories coming soon. Livestar is founded by former Microsoft executive and investor Fritz Lanman, whose angel investments include Square and Pinterest, and its engineering team is comprised of primarily of former Amazon engineers. It is backed by world class investors in Silicon Valley, Seattle, LA and New York, including: SV Angel, Allen and Co, Betaworks, Paul Buchheit, Mitch Kapor, The Chernin Group, William Morris Endeavor, Hank Vigil, Ray Ozzie, Hadi and Ali Partovi, Matt Mullenweg, Morado Ventures and others. 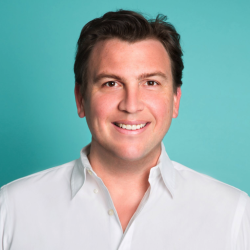 Fritz Lanman is the CEO of ClassPass. Previously he served as an executive at Microsoft and is a serial entrepreneur, having started and grown three venture-backed companies, including Livestar, Verst and Doppler Labs. Fritz is also a seed investor whose portfolio includes Square, Pinterest, Wish, Teespring, Flexport, Formlabs and Flexe, among others. Lopp said in a statement: “We welcome the talented teams from The Hunt and Pext to Pinterest. The company behind the popular visual discovery engine has acquired services The Hunt and Pext. Pext founder Harsh Goel is joining Pinterest, while Pext is closing down and has already withdrawn its mobile apps from the App Store and Google Play Store. Pinterest today has made a couple of moves aimed at bolstering its ads and commerce offerings. So with the teams from The Hunt and Pext, Pinterest feels confident it now has the teams in place to really take advantage of Promoted Pins, Buyable Pins, and organic searches on the site in order to properly monetize engagement. Pinterest said today it’s acquired Livestar, the mobile recommendations app founded by Microsoft alum Fritz Lanman, who is also a noted angel investor who has backed the likes of Square, Getaround, and, as it happens, Pinterest. Lanman himself will not be joining Pinterest full-time, but he will continue in his role as an advisor to the company post-acquisition. Livestar was founded in 2011 and launched at TechCrunch Disrupt this past fall. Terms of the deal have not been disclosed, but this seems to be an engineering acqui-hire situation. The company had reportedly raised $2 million from investors including Hadi and Ali Partovi, Peter Chernin, Paul Buchheit, WME, and Ray Ozzie. Pinterest announced Wednesday that it has acquired local recommendation app Livestar, adding the company’s engineering talent to the quickly growing social content site. The Livestar engineering team will be joining Pinterest in the coming weeks. Livestar is an app that helps people find local recommendations from their friends and others. ), Livestar’s founder was an early investor in Pinterest, and Pinterest is likely looking to add talented engineers in the realm of mobile and social as it grows. CEO and founder Fritz Lanman will not be joining the team, but he will continue to advise Pinterest. Today, DreamIt Ventures-backed KidNimble is launching its website, which acts as a recommendation and referral platform for parents hunting out activities for their children. Stamped was bought by Yahoo, Thumb is blowing up, and LiveStar’s been doing swell since launching on the Disrupt stage. Parents who have kids with common interests generally have their own common ground. This lets parents follow specific users reviews, in a shared location, and eventually build a connection that ensures useful and trustworthy recommendations. Users can choose who sees the activities their families have participated in. About That $30 Amazon Gift CardYou can also easily get a $30 Amazon Gift Card for trying out Livestar. Instead of a flat cash payment they’re giving away Amazon gift cards. The reason you want Livestar on your phone and use it every day is it combines normal user reviews (like we’ve grown accustomed to on Yelp) with professional critics. It’s a mobile app that lets you see (and write) reviews for the things you generally want reviews for – restaurants, movies, music and other apps. Use Livestar to pull up local restaurants and present those reviews for you. Day One of Disrupt SF is officially over, and what a day it’s been. Social FortressSocial Fortress is your personal online bodyguard for the data you choose to create and share across the Internet. This afternoon we began our first day of Startup Battlefield presentations, where 15 companies fought it out in front of 3,000 people or so to win the ultimate prize of the TechCrunch Disrupt Cup and $50,000. Dave Morin, Cory Booker, and so many more took the Disrupt stage today, as well. Be sure to check out all of the Startup Battlefield companies below who presented today; one of those companies may be the new winner! With Livestar, users can, for example, search for “romantic French” restaurants and the app will then sort recommendations by group. According to Livestar’s founder and former Microsoft executive Fritz Lanman, it took the company about 18 months to build its service. Livestar, which is officially launching at TechCrunch Disrupt in San Francisco today, wants to help you find personalized recommendations from your friends and authoritative sources around the web. Livestar currently focuses on restaurants, movies, and music, but the company plans to add apps and wine recommendations soon. One nifty feature of the app is that it also trawls reviews for specific menu items for its restaurants recommendation engine. Livestar is apparently approaching this from a unique perspective, but one that that demo video does not entail. We’re hearing that the startup is trying to own the trusted recommendations space, and aiming squarely for the gap between Foursquare (mobile-enabled local) and Yelp (reviews). It’s been a little over a year and a half since we wrote about Fritz Lanman’s departure from Microsoft, to build his own startup called “5Star.” Well, now we’re hearing that his startup, actually called Livestar, is going to launch soon, judging by a demo video posted on Lanman’s Facebook page. As early as next week even. Since our initial article, Lanman, a former Microsoft and Yahoo deals guy, has made some pretty savvy angel investments, most notably getting in early on Pinterest and Square. After a year or so of stealth preparation, Livestar today launches an iOS app where you can view “trusted” recommendations. Beyond its core reviews functionality, Livestar also shows users a feed of other users activity, and gives super-active users a “Tastemaker” score. Essentially functioning also as a Q&A app, Livestar also allows you to ask friends off of Livestar for reviews via SMS, Twitter, Facebook or email (note: Yelp doesn’t allow people to write reviews from their phones). In fact Livestar pre-computes restaurants your friends are likely to recommend, simplifying the process even further. “We can just keep turning on more and more categories, just like Amazon did, using the same infrastructure / architecture,” he says. And he’s raised somewhere around $1 million in an angel round from first tier angel investors, says a source. Will post details as we get them, or when Fritz starts answering my phone calls again. Microsoft Senior Director of Corporate Strategy and Acquisitions Fritz Lanman quit his job a few weeks ago. He’s started a new company that’s creating a “social utility” mobile application called 5Star. I heard rumblings about this and assumed he’d be focusing an angel investing full time – for the last couple of years he’s done it as a part time hobby. Livestar does this by allowing users to ask specific questions of their Facebook friends, their mobile contacts list or other users on Livestar. The critics function is helpful in pulling up all kinds of professional reviews from trusted sources, such as local newspapers, magazines and online publications. AdvertisementUsers can curate a list of trusted friends on various topics and they can follow other Livestar users. But while many of those services started on the desktop web, Livestar is built from the ground up to be mobile only. Advertisement“If Yelp was built today it would be Livestar,” Lanman said.